The Val d’Isère-Tignes combined ski area stretches from Val d’Isère’s Pissaillas Glacier to the top of the Grande Motte glacier in Tignes, ten miles away. It covers 25,000 acres (1.4 acres per skier, in an average week). In all, there are more than 300km of marked, patrolled pistes. Nearly all are beautifully groomed every night. And for real skiers who don’t believe in nightly grooming, there are still a few runs where the bumps are allowed to grow untrimmed. BEGINNERS may worry that they will feel overwhelmed by the size of the place. 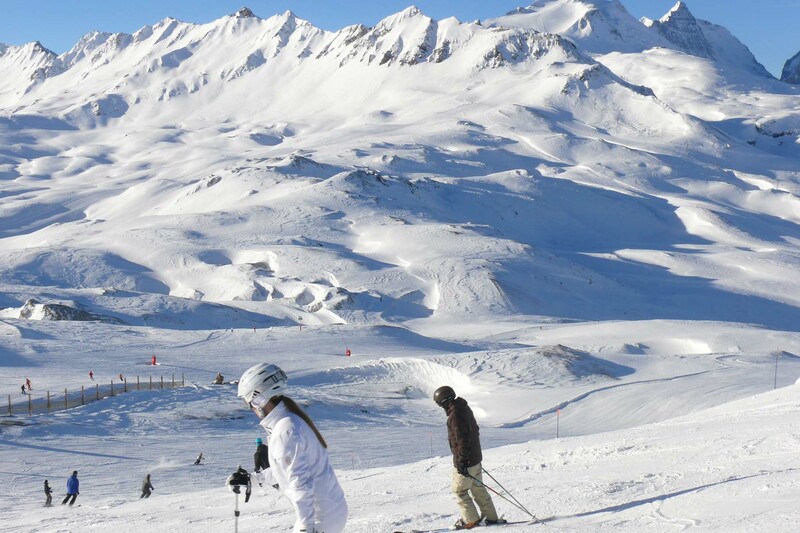 In fact, although Val d’Isère is not the cheapest, it is excellent for beginners. There’s a nursery slope in the village centre with free lifts and snow cannons, and following the extensive changes to the top of Solaise, where new nursery slopes have been created, beginners coming to Val d’Isère are no longer confined to the nursery slopes at resort-level. They do, however, need a ski pass to access these higher nursery slopes – please see the Ski Pass page for full details. There are also easy green runs higher up the mountain, with velvet snow and rapid chairlifts, the world’s best selection of ski schools (with dozens of English-speaking instructors, and quite a few actual Anglo-Saxons), and easy runs beside harder ones, so beginners and experts can split at the top and meet at the bottom. NOT-VERY-CONFIDENT SKIERS are often put off by Val d’Isère’s reputation as the ultimate resort in France for good skiers. They should not be. 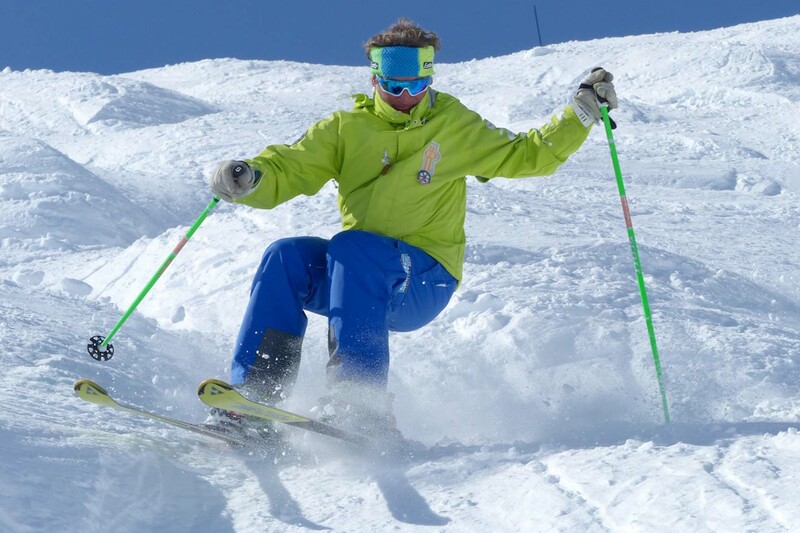 It may not try to flatter poor skiers by grading blue runs as black, but at least three quarters of the pistes are ideal for low to middling skiers. The challenge of skiing home at the end of the day down the most difficult slopes has been reduced by widened pistes and artificial snow, while two-way lifts mean one never needs to ski those last runs at all. INTERMEDIATE SKIERS (ie. 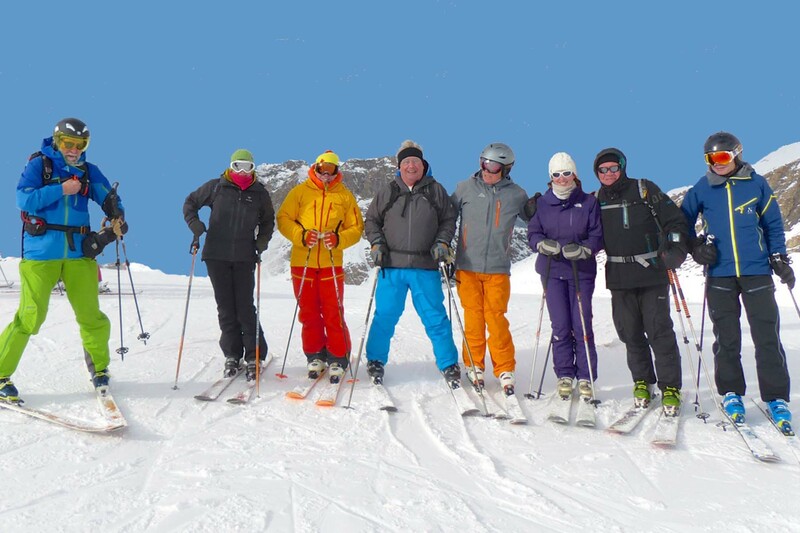 women and children – men go straight from beginners to experts) really appreciate Val d’Isère. Most of the skiing is on long, wide blue and green pistes. Instead of valleys with steep sides and flat bottoms, it has rows of distinct mountains and ridges, each with varied, interesting runs radiating outwards and downwards, exhilarating but not humiliating. GOOD SKIERS come for the world-famous off-piste, the thirty-three red and eleven black pistes, but also the gorgeous, long, swooping blues. The red runs would be black elsewhere, and the blacks, such as the S and Face, are seriously challenging tests of knees and nerves. The steepest runs are back down to the village, and served by high-speed lifts. A keen skier can do 20,000 feet of vertical drop while his or her family eats lunch. There is a super snow park, where skiers compete with snowboarders for the biggest air, but where even quite small children can indulge their current obsession with jumping everything in sight in relative safety.